I received a hard-cheese making kit for Christmas this past winter and have made several cheeses so far. These include a farm-house cheddar, a gouda, a haloumi, and a derby cheddar. The basic process is similar to making beer in many respects, with careful attention to sanitation, temperatures, and rest times being important. The aging time-frames are totally different though, with most hard cheeses needing to rest for several months (the gouda was supposed to age for nine months, but I doubt it will make it that long). With two different homemade cheeses now available, my wife and I sat down for an impromptu homemade cheese and homemade alcohol pairing recently. The kids also got to sample the cheese. The experience was a fun one, so I figured our readers might enjoy some of our observations. Gouda: Gouda originated in the Dutch town of Gouda, near Rotterdam. It is a washed-curd, semi-hard cheese with a smooth texture and tangy taste. It has a recommended aging time of 3 to 4 months, but really shines if it can age up to 9 months. Our gouda is 3.5 months old now and is much harder than I expected, with a texture similar to parmesan. It has a rich and almost nutty flavor and is my favorite cheese that I have made to date. Haloumi: Made in Cyprus, haloumi is a firm, pickled cheese. It is a good hot-weather cheese, as the salt in the pickling liquid inhibits mold and bacteria growth. It can be aged up to 60 days and is stored in a brine solution. The haloumi is the most different cheese I have made, with an interesting texture and a significant salty flavor, which our kids love. String Cheese: String cheese is a form of mozzarella, which is not a hard cheese at all. 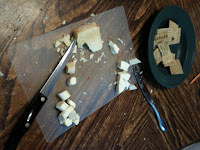 In fact, the mozzarella we used is not even homemade, though that is easy enough to do, but is the Crystal Farms brand. It was included just to have a third cheese that would be different from the other two, and it was something we had on hand. Belgian Wit: The Belgian Wit paired well with all of the cheeses. It is such a food friendly beer that I try to make a batch in the late Spring and early Summer and it usually only lasts a few weeks. Our favorite cheese to pair with it was the gouda and we did not have a least favorite. Bohemian Pilsner: The Bohemian Pilsner is fairly hoppy and the hop intensity clashed with some of the cheeses. 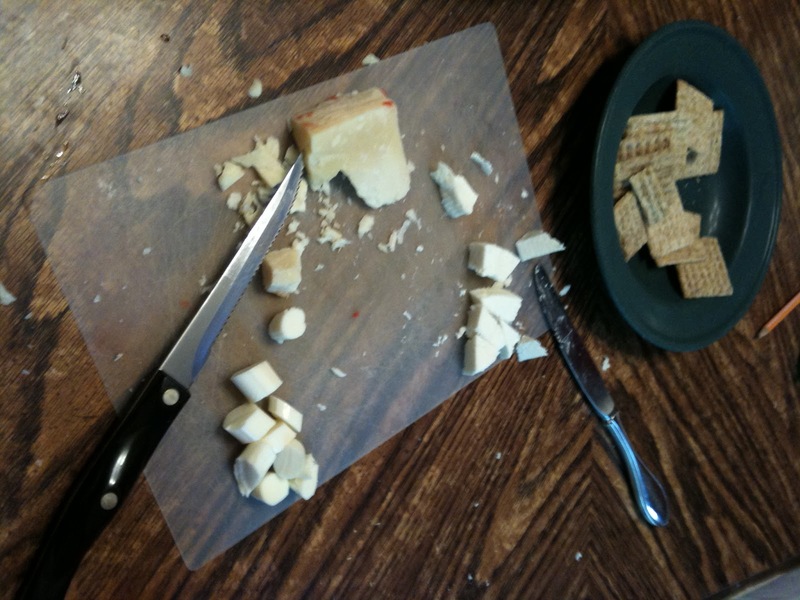 In particular, we did not like it with the gouda. It paired best with the haloumi, as the salt could stand up to the hops, but even then there was a bit of a flavor clash. 2009 Melomel: This Melomel is perhaps the most acidic mead I have made. It pairs well with dishes that have heavier flavors, as the acidity helps clear the palate. We were in dispute over which cheese paired best with the Melomel, as my wife preferred the haloumi and I enjoyed the string cheese with it. The acidic natureof the Melomel seemed to fight with the texture of the gouda. Mason Dixon Line Mead: As this Lug Wrench Collaborative mead has aged, it has favored the Rhode Island honey character, which has a strong herbal note (oregano and mint). 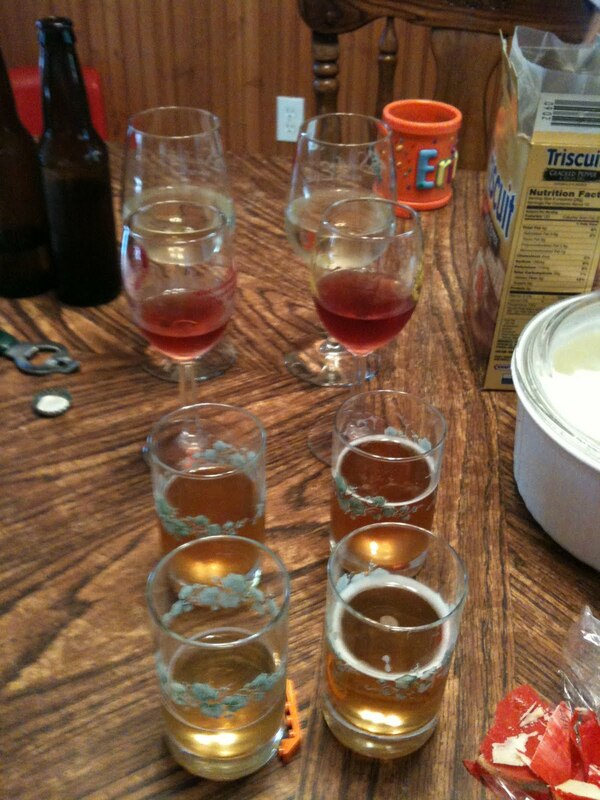 The intensity of the herbal character almost makes it seem like a Metheglin, though no herbs were added to the mead. The herbal nature of the mead clashed with the cheeses and we only preferred it with the plain flavor of the string cheese, though even then it clashed slightly. 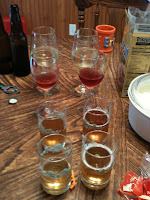 The experience of creating the homemade cheese to beverage pairing was very enjoyable, as is making your own cheese. I would highly recommend our readers give it a try.